The prospect of building the Nord Stream 2 pipeline between Russia and Germany is dividing the EU into two camps. By following geopolitical considerations, both sides are neglecting the concept of a liberalized natural gas market and are overlooking Europe’s favorable position in current international gas trade, writes Severin Fischer, Senior Researcher in the Global Security Team at the Center for Security Studies (CCS), ETH Zürich. When Russia’s Gazprom and its five European part­ners (BASF, E.ON, Engie, OMV and Shell) signed a declaration to build two new pipelines through the Baltic Sea (‘Nord Stream 2’) in September 2015, this came as a real surprise for most observers. The project would increase existing capacity from 55 to 110 billion cubic meters (bcm) a year by 2019. Gazprom would act as the main shareholder with a stake of 50 per­cent in the Swiss-based pipeline compa­ny. Nord Stream 2 will follow a similar route along the seabed as the first pipe­line project that started deliveries in 2011. The project is completely financed by its shareholders and does not receive financial support from public sources of the EU or a Member State. It is clear that from the Russian side, not only the aspect of defending and maybe even the possi­bility of enlarging market shares in Eu­rope, but also the geopolitical motivation of circumventing Ukrainian territory and reducing payments for Ukrainian transit play an important role in the project. 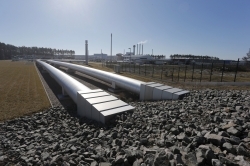 Af­ter the Black Sea pipeline project ‘South Stream’ to Bulgaria was cancelled in 2014 and considerations to involve Turkey in the transit business have been put on hold, the Baltic Sea seems to be Gazprom’s most reliable and secure route to retain a hold on its most important market: Europe. Immediately after the new pipeline project was launched, a controversial debate started among EU Mem­ber State governments and within EU institutions. Even the European Council meeting of December 2015 was dealing with the topic – an impressive record for a single infrastructure project. So far, Germany is the most outspoken supporter of Nord Stream 2. The official position, also referred to by Chancel­lor Angela Merkel during the European Council meeting, recognizes the nature of the pipeline project as a commer­cial activity of economic actors involved in gas trading. Following this argument, the role of politics should be re­stricted to ensuring the fulfilment of legal obligations. This line of argumentation is consistent with a tradition in Ger­man approaches to new infrastructure projects over recent decades, despite the fact that the continuation of Russian- German natural gas trade has always received strong po­litical support in the country. Economics minister Sigmar Gabriel even added that building the pipeline would serve European energy security purposes by increasing direct links between producer and consumer. While most gov­ernment officials in Germany’s grand coalition support this view, more skeptical voices can be heard in the Ger­man parliament and even among leading party members of CDU and SPD as well as among foreign policy experts. While support for Nord Stream 2 is mainly con­centrated within a relatively small but powerful group of actors, the range of opponents is broader and more diverse. They all challenge the project as not being compatible with the goals and aims of the EU’s new rhetoric about building an Energy Union. First, political and geopolitical considerations are most prominent here. Not just Poland and other Central-East­ern European governments, but also ac­tors from the transatlantic community are fiercely arguing against Nord Stream 2. They point out that there is an ongoing war in Ukraine, and that sanctions re­main in place against Russia – although they are not directed at natural gas trad­ing. In their view, building a new pipeline and dealing with this difficult political situation at the same time would contra­dict each other. This culminated in a common letter of seven prime ministers to the Commission, asking for a cancella­tion of the project, since it would create additional dependency for Germany and the EU, therefore influencing the political standpoint vis-à-vis Russia negatively. In addition, avoiding transit routes would weaken the political status of Ukraine as transit country and could deprive it of transit fees to the tune of USD 2 billion a year. Although less openly stated, the same argument applies to Slovakia, Hungary and Poland, who would also potentially lose transit fees. A second line of opposition concentrates on regula­tory questions. These focus mainly on intergovernmental agreements, third party access to the pipeline system and the effects on competition in the gas market. Regulatory arguments already stopped Gazprom from building South Stream in the past, when intergovernmental agreements were signed, that most likely did not comply with EU law. Therefore it doesn’t come as a surprise that the Italian gov­ernment as a disappointed supporter of the Black Sea pipeline is now trying to stop Nord Stream 2 for compara­ble reasons. Also, some EU Commission officials are cau­tiously trying to play this card against the project. Third, a new aspect to the debate is mainly brought up by environmental groups and interestingly adapted by a broad range of other actors. It focusses on the future role of natural gas in the European energy mix. In this context, antipathy against Gazprom is mixed with energy scenarios suggesting that the EU would not need the proposed ad­ditional quantities of gas imports, if it follows decarboni­zation policies strictly. Improved energy efficiency and the increase in the share of renewables would most likely lead to less natural gas consumption in the EU, although the plausibility of these scenarios depends on a whole range of different factors and policy frameworks. All three lines of arguments against Nord Stream 2 tend to refer to the project as not being compatible with the EU’s political project of building an Energy Union. Depending on the personal standpoint, it either runs against energy security considerations (looking at diversi­fying away from Russian imports as an aim in itself) or against its internal market policies by offering a single ac­tor (Gazprom) too much power on the market, or against the environmental objectives of Europe’s low-carbon-economy as part of the Energy Union. There is a surpris­ingly broad consensus in Brussels, strongly supported by actors from the foreign, security and environmental policy communities, that Nord Stream 2 should be stopped by political actions rather sooner than later. What becomes clear by following the debate about Nord Stream 2 is a growing divergence between the categories under which different policy communities assess an infra­structure project. The competitive market reality of private energy companies faces the geopolitically oriented mindset of foreign and security policy actors, with little under­standing for the internal policy dynamics of each other. However, both dimensions are important. Without grasp­ing each other’s world, it is hard to develop criteria under which one could analyze projects such as Nord Stream 2. First of all, it is important to understand the chang­es that natural gas markets have seen in Europe lately. With the beginning of the liberalization process in the 1990s, the role of governments and state actors in gas trad­ing has been transformed fundamentally. Today, private companies are the main market players with a high degree of freedom to take their economic decisions based on cost-benefit considerations. The EU Commission has gained power as the ultimate regulatory authority, guaranteeing access to infrastructure, but also guaranteeing free compe­tition between different models of gas-trading, between different supply routes and between dif­ferent fuels in the market. Still, infra­structure bottlenecks, insufficient compe­tition and political influence by national governments are every day phenomena in many parts of Europe. Although this market is certainly not functioning in a perfect way, the improvements during the last couple of years are impressive. What has changed, however, is the desperate dependency of single national or regional markets on one source and one supplier, as the growing number of terminals for the import of liquefied natural gas (LNG) and reserve-flow investments in pipelines show clearly. The increasing natural gas import from non-EU markets and the growing trade in flexible gas hubs with spot-markets have changed the context of the debate significantly. Under these framework conditions, Gazprom’s former business model is under stress. The possibility to use po­litical influence or coercion on single state actors is fading. At the same time, the role of long-term contracts and ‘take-or-pay’ provisions is less prominent. Today, Gazprom and its economic partners are under pressure from market dynamics in every single region in the EU. Meanwhile, Gazprom is adapting to this new situation by changing its business model, accepting spot-trading and the Commis­sion’s regulatory oversight. One could conclude: The Euro­pean liberal market model has silently prevailed against the geopolitically motivated Russian model of creating one-sided dependencies. Comparing this situation with most of the argu­ments against Nord Stream 2, it becomes obvious, that we are rhetorically returning to 20th century energy geopoli­tics, moving away from the reality of a modern energy market. The new geopolitical frontier between the EU and Russia shows a spill-over effect in the world of natural gas markets and one should ask the question, whether the EU has to allow that to happen. The project’s opponents call for the state to intervene and for strong command-and-control policies that do not fit into the picture of a liberal­ized gas market. Asking a national government ‘to dump’ a pipeline project just appears to be outdated. For good rea­sons, one can deny public financial support for a project – as is happening in the Nord Stream 2 case. In order to stop a privately financed endeavor in a market environment, there must be more than just uncomfortable feelings on the side of regulators. Also the second line of arguments against Nord Stream 2 – ‘Europe doesn’t need more gas’ – is flawed. Since the nature of a market economy is to be found in ac­tors’ taking risk and chasing opportunities, the claim that political actors should intervene and stop a project because there will be ‘no need’ for gas in the next 20 years, stems from a time of centrally-planned and state-controlled en­ergy markets. Natural gas will compete against other fuels in the heating, transport and electricity sector, while the restrictions of climate policy can be met by many different mitigation options. The idea of a market economy implies, that every actor should have the right to take risks and dump money, as long as this is not public money. One of the main aims of the liberalization process in gas markets was to Europeanize regulatory practices, to intro­duce competition and to put the consumer at the center of political action. Most of the arguments around Nord Stream 2 are – on purpose or not – trying either to rena­tionalize the debate, to avoid a competition-friendly envi­ronment with Gazprom as one among several actors or to put geopolitics before consumer interests. If we follow these arguments, this would mean a 180 degree turn-around from a policy approach that has been successfully followed during the last 15 years in the EU’s internal gas market. Instead, the EU should be more self-confident about its market policy, allowing competition to pick win­ners and trusting in the Commission’s regulatory control. To readjust the debate, three important aspects need to be considered for future dealing with the Nord Stream 2 case: First, the EU Commission has to be in the regulatory driver seat, expecting an unbiased assessment of realistic compatibility options of the project with unbun­dling, third party access and competition provisions under the internal market laws. Following these criteria, the Commission has to analyze the project and decide how to deal with the investors’ approach. This should be done without taking gas demand scenarios or geopolitical con­siderations into account. Second, for good reasons, the German government has lost a lot of political credit on Nord Stream 2. Not be­cause the project is wrong from an energy point of view, but because the rules of good diplomacy and the perspec­tive on geopolitics were absent in dealing with the pro­posal. Consulting the Russian government before talking to Central-Eastern European member states or the Com­mission was a major fault and discredited the commercial na­ture of the project. In an integrated European gas market, the time of national energy infrastructure politics should be over. Therefore, it would be wise to end engagement with the project on the side of German politics. Third, in a community that is based on the rule of law, the rule of law should apply to all actors in the same way. In the end, this means, that economic activities in the range of the legally defined framework should be assessed under the existing regulatory criteria, but not under nor­mative categories of good or bad. It is a question of self-confidence of Europe’s liberal market approach to handle a project such as Nord Stream 2. If there is a desire to change the way politics and markets interact in the EU, this would need a more fundamental debate for which Nord Stream 2 is certainly not the right point of departure. Dr. Severin Fischer is a senior researcher at the “Center for Security Studies” at ETH Zurich. This article was first published in Policy Perspectives, March 2016, and is republished here with permission. Copyright Center for Security Studies (CCS) at ETH Zürich. Thank you, Severin, for your stimulating article. Your call for an unbiased handling of internal market issues (unbundling, third party access and competition) based on the rule of law can only be supported. However, this does not mean that the future gas demand scenarios should play no role in the process. 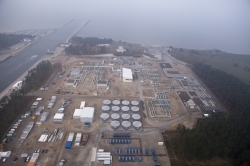 In case a third party access exemption will be required for Nord Stream 2, one of the criteria to be considered is that the “the investment must enhance competition in gas supply andenhance security of supply” (Art 36, directive 2009/73/EC). –	Nord Stream 2 is not exactly a “privately financed endeavour”, nor is it the most fitting example of how “the competitive market reality of private energy companies faces the geopolitically oriented mindset of foreign and security policy actors”. As a matter of fact, between 60% and 70% of the Nord Stream 2 (NS2) consortium is controlled by state owned companies: 50% of NS2 belongs to Gazprom, controlled by the Russian state. 10% of NS2 belongs to OMV, 56% of which is controlled by the Austrian state and by the United Arab Emirates. A further 10% of NS2 belongs to ENGIE, whose by far dominant shareholder is the French State that holds more than one third of its shares. –	Thus, it can be doubted whether NS2 really is a project in which “private companies are the main market players with a high degree of freedom to take their economic decisions based on cost-benefit considerations”. –	The German gas network development plan (GasNDP) 2016 foresees additional 500 million Euros for adapting the German gas network to NS2. Admittedly, this obliged financial contribution of German consumers within a regulated regime would be (if confirmed) just a small fraction (circa 5%) of the planned costs of NS2. However, it is a tangible amount and it weakens the claim that NS2 would be fully financed by the (not really private) NS2 consortium. –	The German GasNDP 2016 motivates its proposal to carry these additional costs with the argument of additional security of supply. This argument builds upon the strongly exaggerated demand assumptions of the “green scenario” in the ENTSOG’s gas TYNDP 2015. Just two examples: firstly, the total gas demand modelled by TYNDP (which was calculated two or three years before 2015) for 2015 is circa 16% higher than the temperature adjusted demand in the same year and region. In absolute terms, the temperature adjusted gas demand for 2015 has been circa 69 bcm lower than assumed by TYNDP. This corresponds to 125% of the maximum yearly capacity of NS2. Secondly, the assumptions on CO2 prices were out of touch with reality: 20€/ton in 2015, 40€/t in 2020, 70€/t in 2025 and almost 100€/t from 2030 onwards. Such CO2 prices would prop up a massive switch from coal to gas. –	Under more realistic demand assumptions, and in order to be used close to capacity, NS2 would probably have to substitute a significant share of the flows through the current routes via Byelorussia-Poland or Ukraine-Slovakia. This does not sound like a business case free of political considerations.